Charming home on large lot at the end of cul-de-sac. Private, gated courtyard w/ fountain. Upgraded cherry cabinets, some w/slide-out shelves, granite counter tops, stainless appliances, breakfast bar, and tile floors. Cozy fireplace. Family room ready for surround sound. Carpet in bedrooms w/upgraded padding. 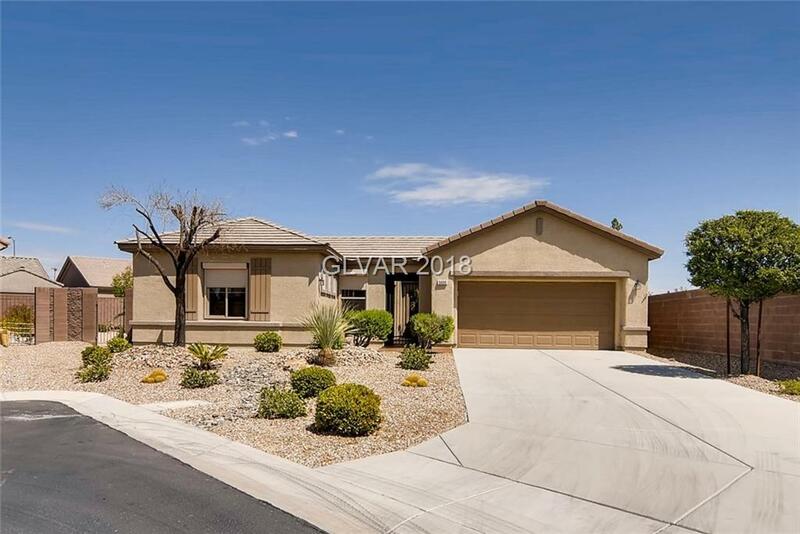 Large, beautifully landscaped backyard w/covered patio & BBQ stub. Upscale Plantation shutters. Ceiling fans & intercom throughout home.